Chose any three Flip wraps (2 solid colours and 1 print) from our available selection or we may be able to order an out of stock colour for you. Simply add the colours you want to the comments box at the checkout and we'll be in touch. 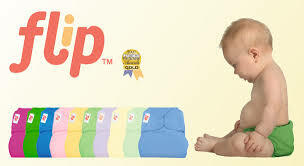 Very easy to use nappy covers for a two part nappy system, lovely colours and prints too!